With the unadulterated success from Apple’s iPhone and iPad over the last few years, many have wondered, “What are they going to do with that cash pile?” Apparently all your questions will be answered tomorrow morning. You can call in to the event or listen online. Checkout the press release below for call numbers and web addresses. The webcast will be available for replay for two weeks afterwards. It is only about 12 hours until we find out officially, but in the mean time, what to you think Apple should do with its cash? WHAT: Tim Cook, Apple's CEO, and Peter Oppenheimer, Apple's CFO, will host a conference call to announce the outcome of the Company's discussions concerning its cash balance. 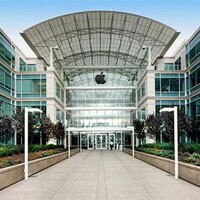 Apple® will not be providing an update on the current quarter nor will any topics be discussed other than cash. WHERE: Via conference call. The dial-in number for press is (877) 616-0063 (toll-free) or (719) 219-0041. Please enter confirmation code 592016. REBROADCAST: The conference call will be available as a continuous rebroadcast beginning Monday, March 19 at 9:00 a.m. PDT/12:00 p.m. EDT through Monday, April 2 at 9:00 a.m. PDT/12:00 p.m. EDT. The dial-in number for the rebroadcast is (888) 203-1112 (toll-free) or (719) 457-0820. Please enter confirmation code 6274937. WEBCAST: Apple will provide live audio streaming of its conference call using Apple's industry-leading QuickTime® multimedia software. The live webcast will begin at 6:00 a.m. PDT on March 19, 2012 at www.apple.com/quicktime/qtv/call31912 and will also be available for replay for approximately two weeks thereafter. The webcast is available on any iPhone®, iPad®, iPod touch® or any Mac® or PC running QuickTime 6 or later. If you do not have QuickTime installed on your Windows PC, it is available at www.apple.com/quicktime. This recording is the property of Apple and protected by U.S. copyright law and international treaties. Any reproduction or distribution is strictly prohibited without prior written approval from Apple. Please contact Apple Public Relations or Investor Relations with any questions. Oh, oh, oh, oh ...... Mr. Kotter, iCan't wait!!! What about donating some of the money to iMprove their Sw3atshops?? Well, they will need some of the money for their new workplace and some more cash for their lawyers. A friend of mine has Apple shares and he heard they might really give some dividends. That's it, they're giving dividends! They are going to use it to.. wait for it.. wait for it.. hold on.. tuckle your belt seat.. MAKE MORE MONEY! What if Apple announces that they're buying Google tomorrow? Can you imagine the fandroid eruption that would happen lol. I think it will probably be dividends. Maybe even an upcoming split. Unlike Steve Jobs, Tim Cook actually believes in giving back. Tim could actually make Apple respectable again. Ethical, at least. First give back the freedom to consumers to control their device however they want. Then we'll talk. They have to give the full control of their device to make happy 10% of their customers? Because the other 90% doesn't give a crap and won't use it properly, what's the point? Do you understand that the majority of cellphones users, including Android users, are average people, not geeks? Who they have to make happy, you?